Now you can Download MIUI 10 Global Beta ROM 8.7.26 for all Xiaomi Devices. The new MIUI 10 Global Beta ROM 8.7.26 fixes bugs, updated to latest security patch and bring all MIUI 10 features. Follow the below guide to Download MIUI 10 Global Beta ROM 8.7.26 for all Xiaomi Devices and update it manually. Currently, MIUI 10 8.7.26 Global Beta is available for almost all Xiaomi devices. MIUI 10 Stable ROM will be available soon but if you want early access to new features then Download MIUI 10 Global Beta ROM 8.7.26 for all supported Xiaomi Devices. Although the download link of MIUI 10 Global Beta ROM is official but the only way to Install the ROM is via TWRP. We provide both TWRP and MIUI 10 v8.7.26 ROM to flash it manually. 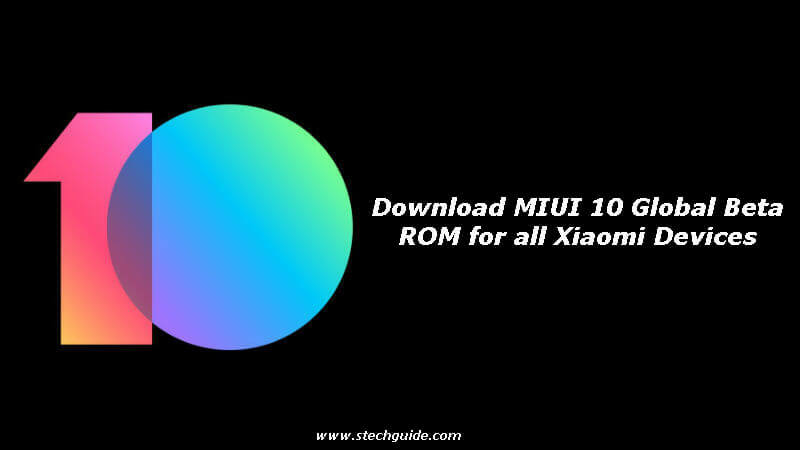 Download MIUI 10 Global Beta ROM 8.7.26 for all Xiaomi Devices from below. To install MIUI 8.7.26 Global ROM on Xiaomi phone download either Recovery ROM or Fastboot ROM from above and use the below method to install this on your device. This is the easiest way to Download MIUI 10 Global Beta ROM 8.7.26 and flash it on your device. Comment below if you have any doubts. Stay connected with us via Facebook, Twitter, and Google Plus to read more such helpful posts.